2010 saw some interesting projects undertaken both here in New Zealand and overseas. One of these was a trip to China, looking at inventory systems and techniques used for forest sale and purchase transactions in several different provinces. China is a very large country and one of the first things that hits’ you is its diversity. The trip involved a look at several plantation and natural forests types throughout China. 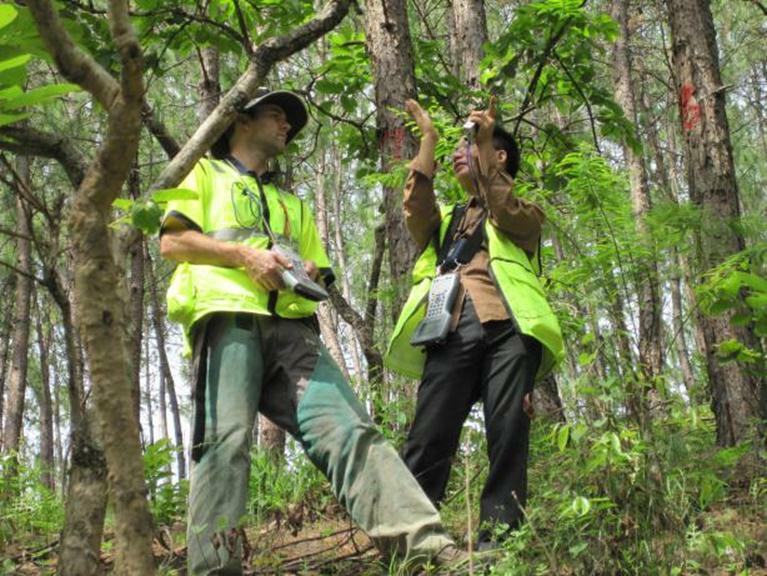 Image Above: David Herries discussing stem feature descriptions with one of the local forest managers. 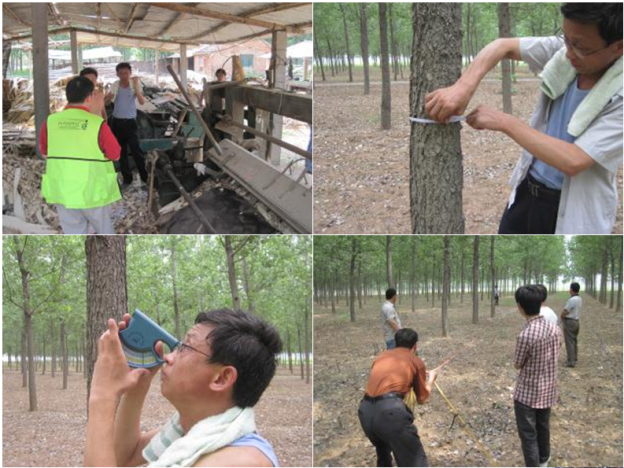 Forest measurement is very much a science for which practices are almost international in their context. Language is often not a barrier to the understanding with many of the core principals well understood and used throughout the regions we visited. Part of the trip was designed to train and educate some of the staff on stem feature cruising techniques and implement YTGEN and PLOTSAFE for use. This proved extremely successful with field staff involved in the training often having a masters degree at least and therefore understand well the principals behind both the software and the techniques in the field. Yes you heard the right inventory crews made up of master graduates in forestry. It was great to see field crews running with the system within a couple days of the training starting. The Juniper Systems Allegro units where loaded with the Chinese version of the Windows Mobile 6, which made the introduction to Plotsafe very easy. They could even custom their PlotSafe templates with own chinese fields and descriptions. 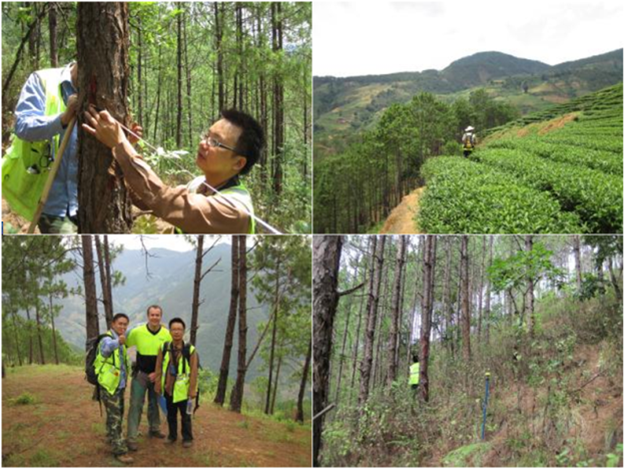 Overall the trip was a good grounding in Chinese forestry systems and management for the team here at Interpine. The clients we dealt with were able to capture the key principals of the YTGEN and PLOTSAFE software and it great to hear 6 months on they are still using it, and have implemented changes in their inventory systems to improve their resource evaluation and ensure purchasing and selling of forest areas was done with a good level due diligence.